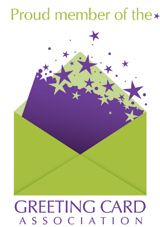 Inside Reads: Enjoy Some Peace And Quiet On Mother's Day. "Did Mom just say what I thought she said?" She probably did, and more often than you notice. We can't blame her. It's not like, after you and your siblings rubbed Cheetos dust all over the couch, she really wanted you to take a long walk off a short pier - did she? Every mom has good days and bad, and let's face it: You gave her a lot of those bad days with all your childhood nonsense, from the toys you flushed down the toilet to the dishes and glasses you broke. 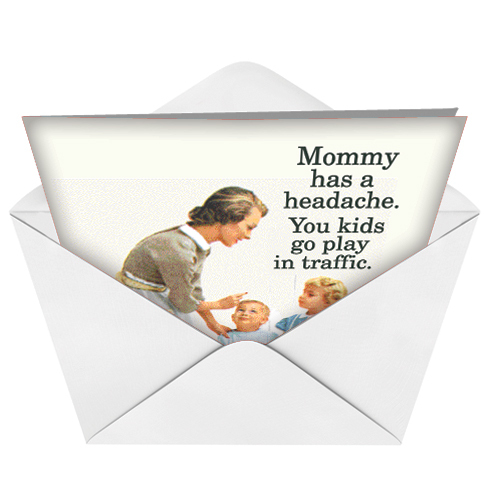 This edgy Mother's Day card from Ephemera tells mom that you know how awful you were. 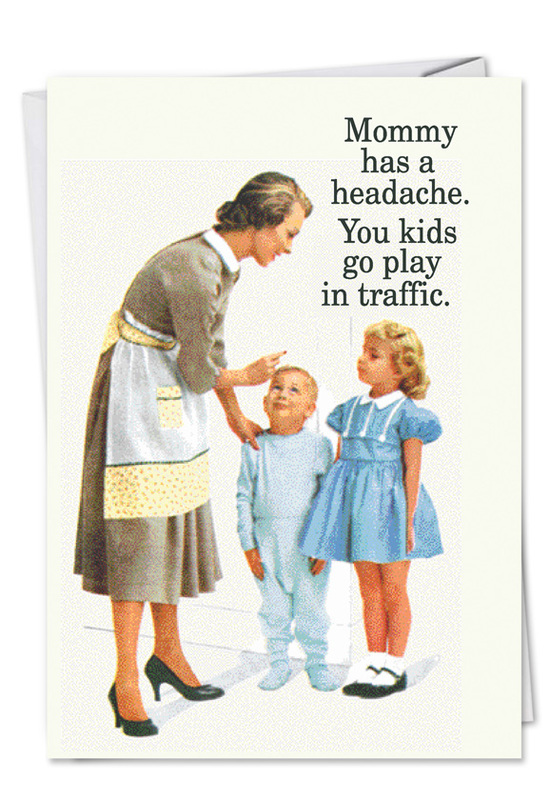 If you, your siblings and your friends wore your poor old ma's nerves out repeatedly, but she was too kind to say anything, the Play in Traffic humorous Mother's Day card from NobleWorks Cards is the perfect way to thank her for her fortitude and discretion.